The new NICE guideline for the management of cataracts in adults was launched last month. The guideline highlights the importance of patient communication, shared decision making and minimising and managing risk to improve the quality and safety of patient care. They also state that the offer of second eye surgery should be made 'using the same criteria as for the first eye surgery'. This is a positive step forward for patients who experience a second cataract. Previously some Clinical Commissioning Groups (CCG) policies have set higher thresholds for second eye surgery than first eye, denying patients better quality vision. Cataract surgery is the most common eye operation carried out with over 400,000 people having surgery in the UK each year. However, this figure is set to rise by 25 per cent over the next 10 years and by 50 per cent over the next 20 years. The new guidelines have been created by eye health and sight loss sector experts with the contribution of service users, carers and the public. 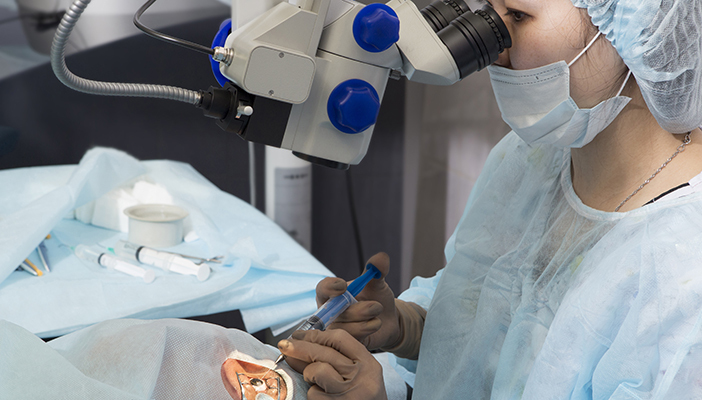 Advice takes into account how the condition affects a patient’s sight and their quality of life, the treatment options available and the potential benefits and harms of surgery. Fazilet Hadi, Deputy Chief Executive of RNIB, said: “RNIB is delighted the new clinical guideline from NICE recognises referral for cataract surgery must be based on how the cataract affects a person's quality of life. It rightly states surgery should not be restricted on the basis of the ability to read signs and symbols on a chart. “The reality is many patients have been denied surgery because an arbitrary threshold has been imposed by CCGs. This new guidance makes it clear this is not acceptable.